The Higgs field is like an endless ocean through which all matter swims. Some particles are like sponges and sop up mass as they lumber along, while others are as sprightly as tiny minnows and dart right through. The Higgs theory is a beautifully simple explanation as to why some particles are massive while others are not. 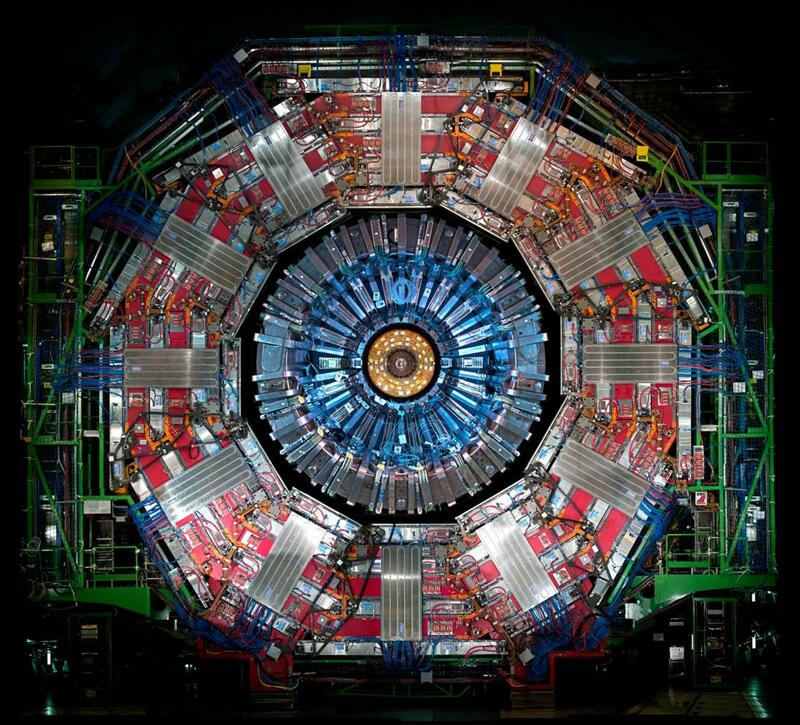 But not all predictions of the Higgs theory have been experimentally tested yet. 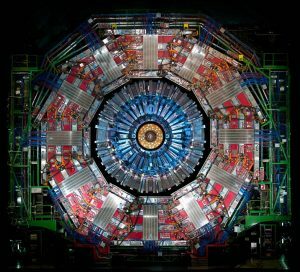 That’s why scientists on the CMS experiment at the Large Hadron Collider are putting the Higgs boson under a microscope and trying to determine how it fits into the delicate ecosystem of particles. Fermions are particles that click together to form the invisible scaffolding inside atoms. Bosons, on the other hand, are the physical manifestation of forces and perform tasks such as gluing fermions together. In June 2014, scientists on the CMS experiment published a paper in Nature showing that the Higgs boson has a relationship with fermions by measuring the rate at which it decays into tau leptons, a heavier cousin of the electron. Later, both the CMS and ATLAS experiments found evidence of the Higgs boson decaying into bottom quarks. Now, scientists are tackling its relationship with the top quark. Because the top quark is much more massive than the Higgs boson, it’s impossible for a Higgs boson to decay into a pair of top quarks. Luckily, there is another way to measure how strongly the Higgs boson couples to top quarks: looking for the rare case of simultaneous production of top quarks and a Higgs boson. “Higgs boson production is rare – but Higgs production with top quarks is rarest of them all, amounting to only about 1 percent of the Higgs boson events produced at the LHC,” said Chris Neu, a physicist at the University of Virginia who worked on this analysis. In a paper published today in the journal Physical Review Letters, scientists on the CMS experiment report observing a statistically significant abundance of events in which the Higgs boson is produced in association with two top quarks. The CMS result for this rare Standard Model process with a significance of 5.2 sigma constitutes the first observation that exceeds the 5 sigma threshold physicists require. The ATLAS experiment has also submitted a paper on the same phenomenon for publication. To get these results, the CMS experiment looked for Higgs bosons based on the numerous possible signatures it can leave behind in the detector. Exploring the Higgs boson’s relationship with the top quark further could also be a possible window to new physics, according to Fermilab Deputy Director Joe Lykken.